Join Linden Hills members in reading Glorify: Reclaiming the Heart of Progressive Christianity. 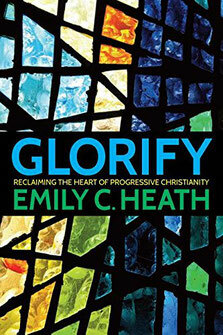 Glorify, a slender book by UCC pastor Emily C. Heath, challenges progressive Christian churches to reclaim the concepts of discipleship and witness alongside their work for social justice. They meet every Saturday morning at 8AM. If you're interested in joining the discussion, email office@LHUCC.org for location information.